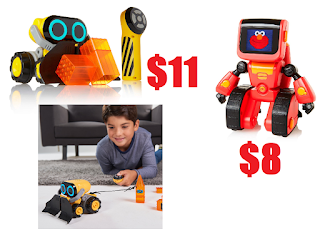 WowWee Elmoji Junior Coding Robot Toy $8 (Reg $24.99), WowWee The BotSquad Joe Plow Remote Control Interactive Robot Toy $11 (Reg $29) + Free Shipping. Lowest price they have both ever been. Awesome deals at this price and great for gifts!